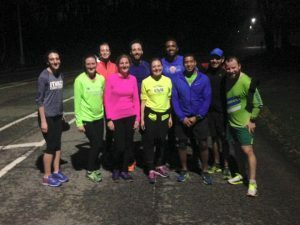 Runners come out to play! 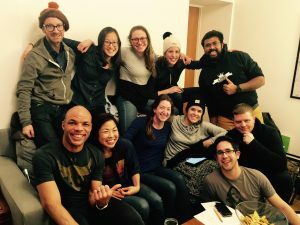 Boston Marathon fans, runners and wannabes, if you liked Spirit of the Marathon, or need a little inspiration to get you out in your shoes again, take a trip to Regal Cinemas Union Square 14 on Wednesday April 19, 7:30 p.m. to watch BOSTON: The Documentary. In theaters, nationwide for ONE NIGHT ONLY. Of course, don’t miss out also on the 2017 Boston Marathon itself on Monday April 17. Watch Meb as he completes his 25th marathon, his final running of this historic race. For those of you who have been around CHRC for a couple years, you’ll remember one of it’s very lovable Queens, Danielle and her (formerly) non-running, now husband, Adam. 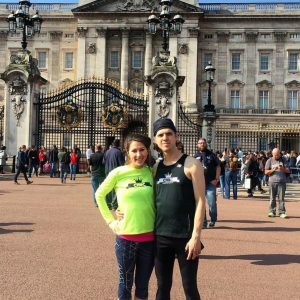 In May of last year, Danielle and Adam moved back to Chicago with our best wishes, promises of lifelong running togetherness and a small token of appreciation and donation to their Honeymoon from Running Royalty. 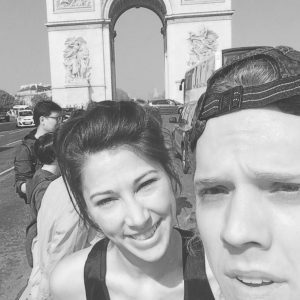 This weekend, Adam and Danielle ran the Paris Marathon on their European honeymoon. The two of them ran circles around the Eiffel Tower as the crowds cheered from Crown Heights to Paris! 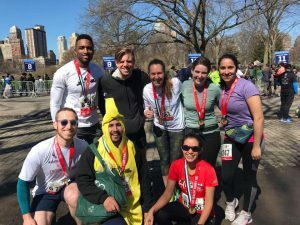 This was Adam’s first full marathon and Danielle’s eighth. We cannot be prouder of them! Felicitations! !